Cooper appeared to jammed out pretty hard—as you can see from the photo above—but NME notes that the audience could not hear what he was playing. So patrons got a silent show before Cooper introduced Kristofferson himself, saying, per Billboard, “You guys were awesome, that was great—it’s my sheer pleasure to introduce Kris Kristofferson.” The 81-year-old’s performance eventually featured a cameo from Johnny Depp—who has already used Glastonbury as an opportunity to liken himself to John Wilkes Booth. 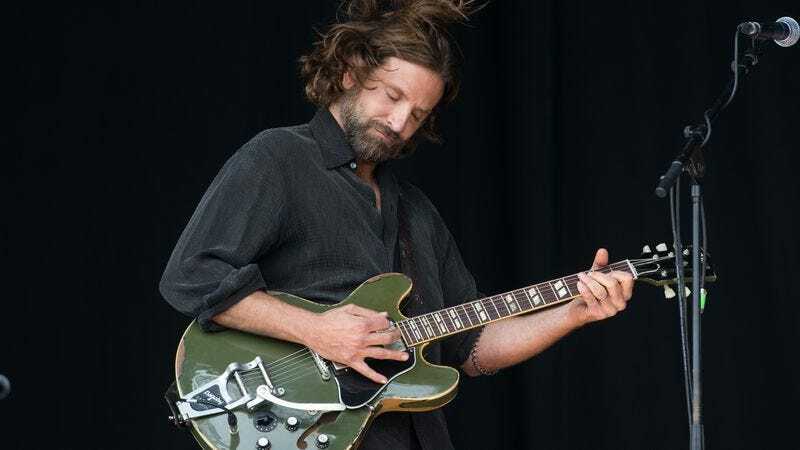 This isn’t the first time Cooper’s A Star Is Born production has hit the festival circuit. Back in April, he and Gaga filmed a “Country Western music concert” at Coachella.